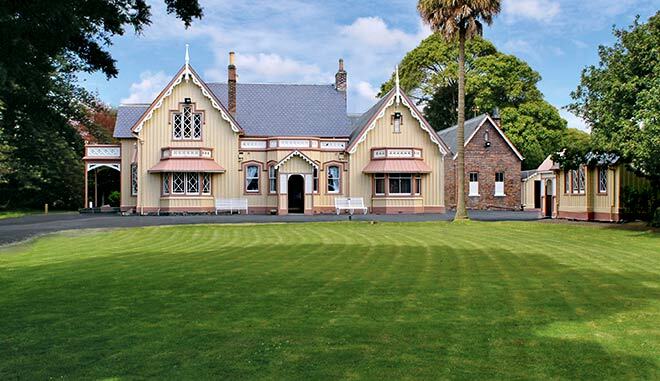 Highwic in Auckland is among New Zealand's finest carpenter Gothic houses. Highwic was built for the wealthy Auckland businessman Alfred Buckland in 1862, and was extended in the same style over subsequent decades. It was copied from a design in one of Andrew Jackson Downing's pattern books, and displays the main elements of the style: steeply pitched gabled roofs, highly decorated bargeboards and finials, and lattice windows. Buckland's descendants lived in the house until 1978, when it was purchased by the Historic Places Trust (later Heritage New Zealand) and Auckland City Council.